Been awhile since I've had an Ollie update on the blog here. And guess who's walking? Well, mostly anyway! I don't know that there was any one day that he took true "first steps". He just started getting more and more interested in walking around with less help and has now started going pretty good distances on his own. He crawled later than a lot of babies, so I'm not that surprised that it took him a little longer to walk. 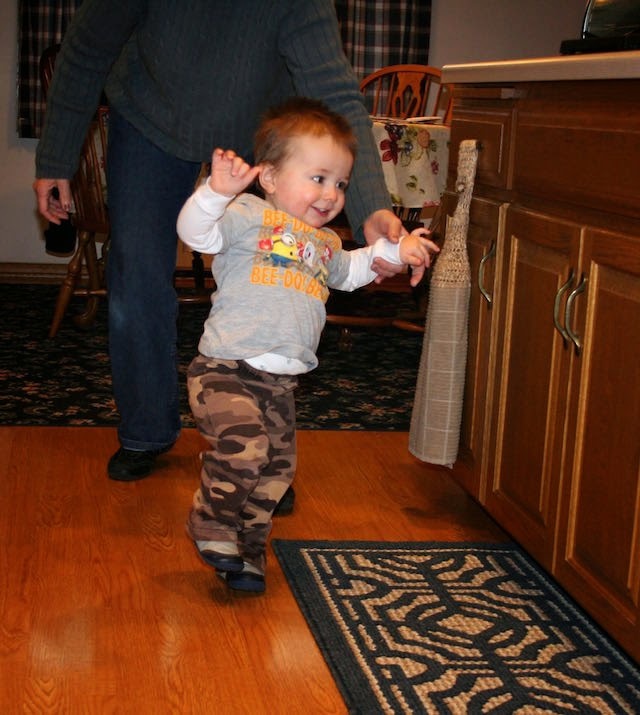 And even though he's doing more walking, there are plenty of times he just drops down and takes off crawling because it still gets him where he wants to go a little bit faster! He also still wants help a good chunk of the time, either holding just one of our hands or he'll use the wall and the furniture. For the most part though I'm declaring him a walker, he can do a number of steps unassisted and I think he'll do more and more each day. He really wants to run and I think when he finally figures out how that works, we're going to be in trouble! 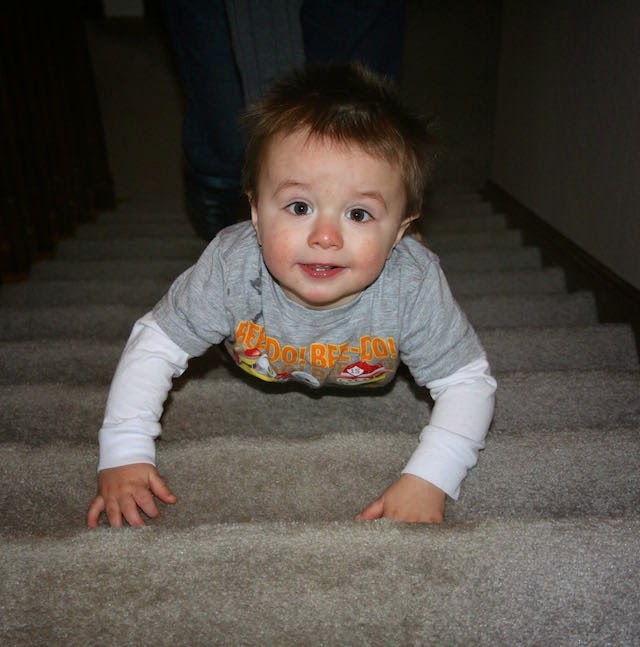 He has also become a master of going upstairs, though he's been pretty good at that for a couple of months now. It's his favorite thing ever at my parents house. He doesn't have the "down" part figure out quite yet though, so we'll have to keep working on that! It's so fun watching him see the world in a whole new way as he's getting around. And yes, he's had some bumps and booms along the way, but that's just part of the journey. 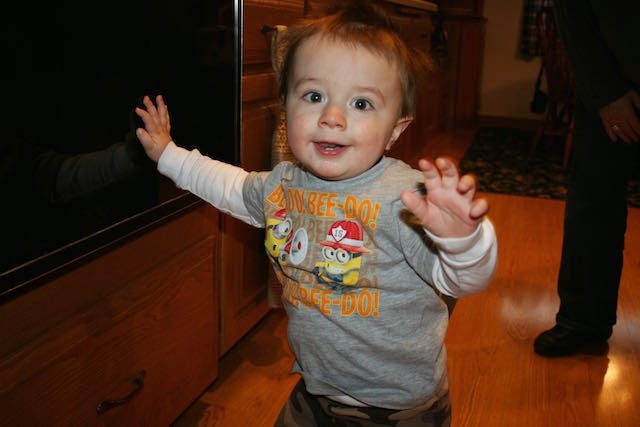 I'm getting increasingly excited for warmer weather, because this kid is going to love running around outside. For now he'll have to settle for chasing Daddy and the kitties around the house! 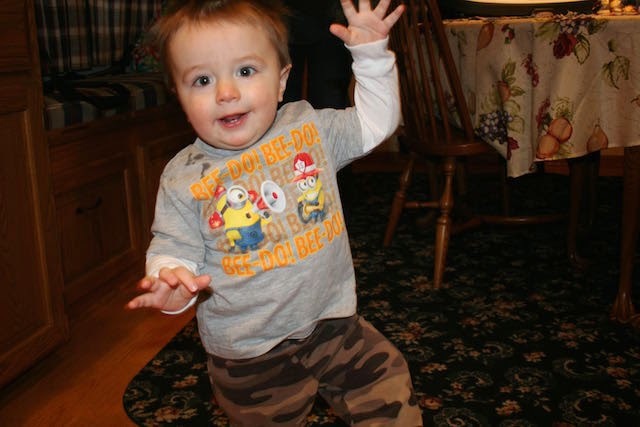 One thing is for certain, now that he's a walker, there is no stopping him, that much I know!